Lemon Blueberry Cheesecake - Recipe! - Live. Love. Laugh. Food. Lemon Blueberry Cheesecake – Recipe! Who doesn’t love a good cheesecake? Yes, most people on the West Coast associate good cheesecake with the Cheesecake Factory, but let’s get serious – really? 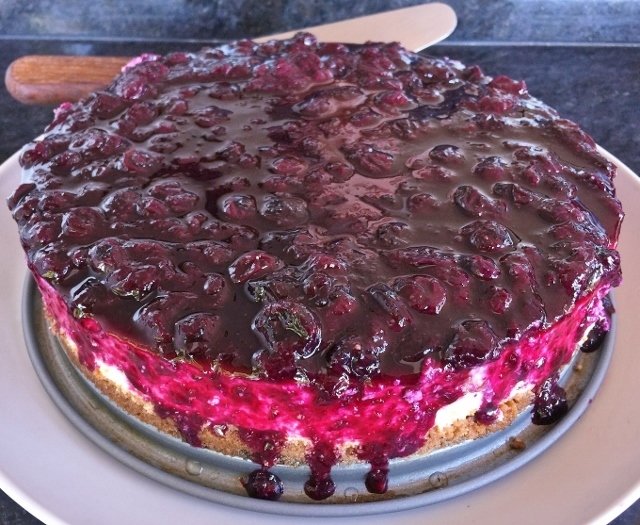 Good cheesecake is made with quality ingredients and usually topped with fresh fruit purees, or laced with chunks of chocolate, nuts or a combination of the two. Yes, I know cheesecake. This Lemon Blueberry Cheesecake will make your knees shake, it’s that good. 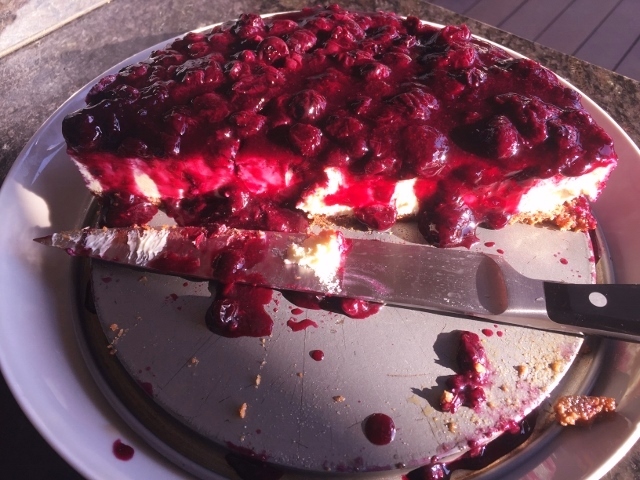 My family members (especially my mom) is a true cheesecake aficionado – she creates, bakes and takes great pride in her cheesecakes and I have learned from the best. The combination of mildly tart citrus and naturally sweet blueberries make this cake a refreshingly great dessert. 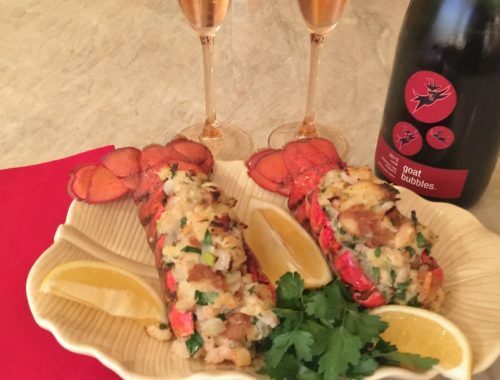 I enjoy the color contrast too – I think it a real show stopper, perfect for parties or family members who are cheesecake lovers like my family. 1. Preheat oven to 325 degrees. 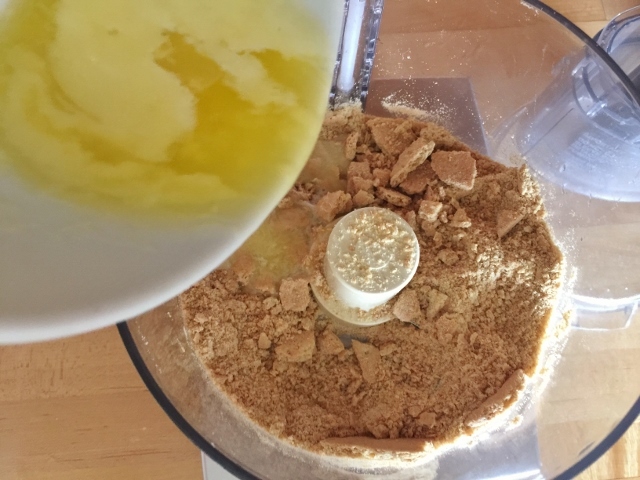 In a food processor, add graham crackers, sugar, melted butter and salt. Pulse until fine crumbs and pour into a 9-inch springform pan. Press crumbs into the bottom of the pan and bake in the oven for 10 minutes, remove and let cool for 10 minutes. Cover bottom of pan in foil and place in a large roasting pan. 2. 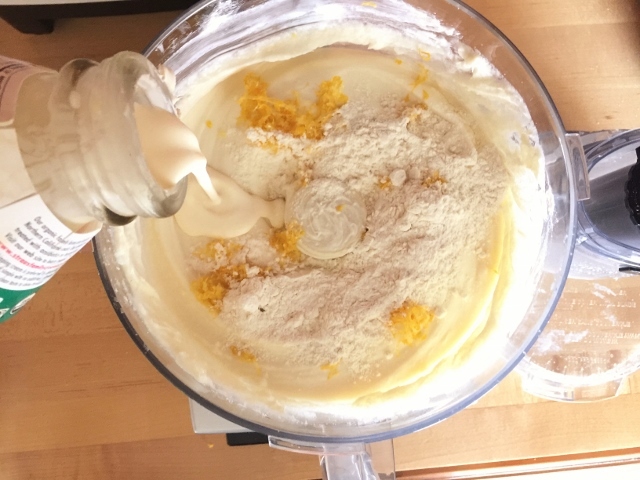 In the same food processor, add cream cheese and sugar, process for 1 minute. Add eggs, flour, lemon juice, zest, extract and half & half. Puree until smooth, about 2 minutes. Pour over crust and smooth out on top. 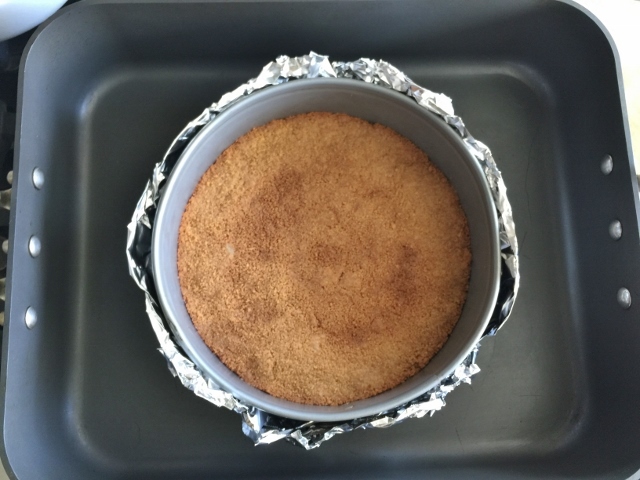 Pour hot water around perimeter of foil covered pan and place in the oven to bake for 50 minutes. 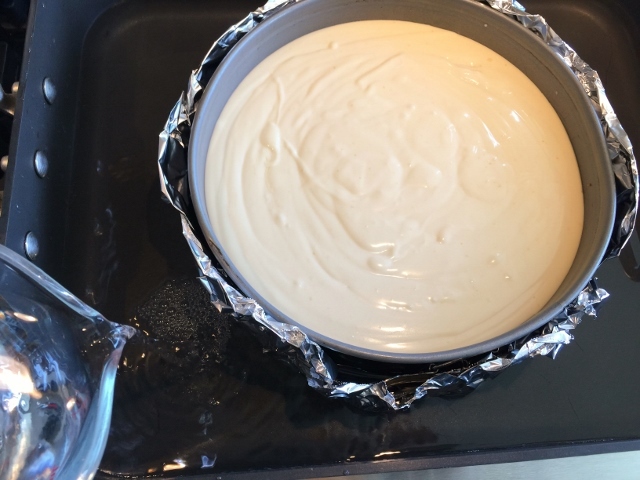 Remove from oven and lift cheesecake out of water and place on a wire rack to cool to room temperature. 3. 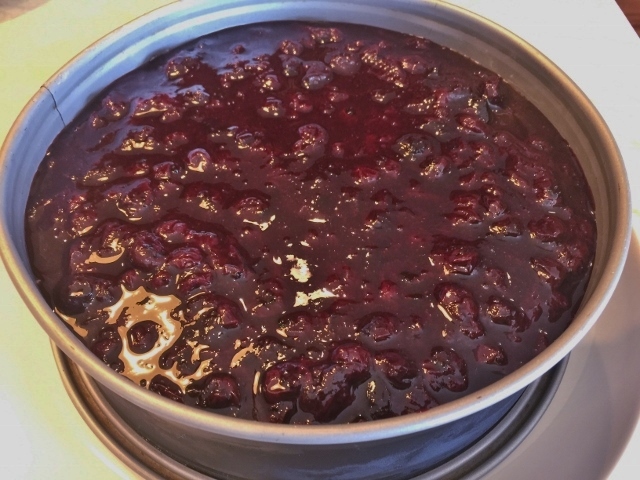 While the cheesecake is cooling, make topping by adding blueberries, sugar and 1/2 cup water to a small saucepan, and heat until simmering. 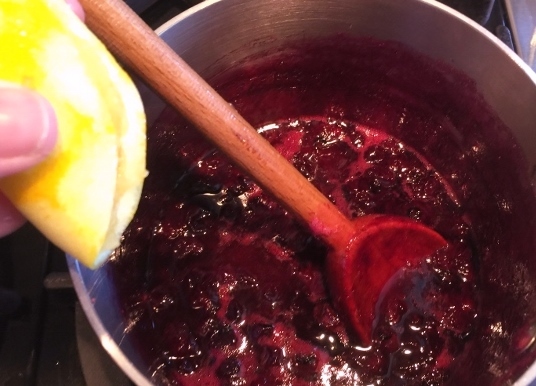 Cook blueberries until liquid is reduced by half, about 20 minutes. Squeeze in lemon juice, stir. Remove from heat and pour topping into bowl and let cool to room temperature. When cooled, pour blueberries over the top of cheesecake and wrap in plastic. 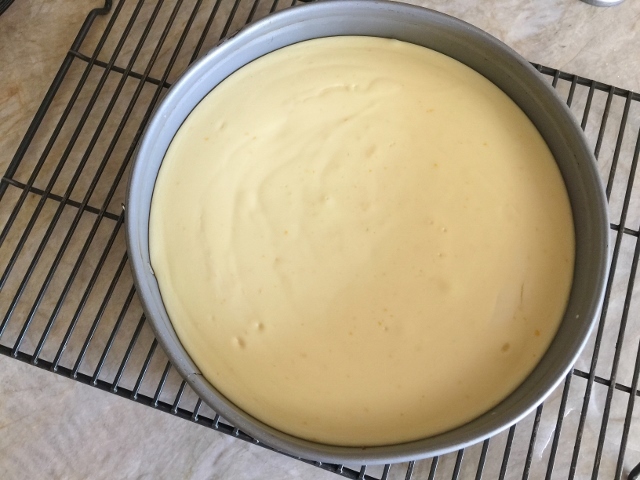 Chill entire cheesecake, for at least 4 hours, or best if overnight. Slice and serve, Enjoy! 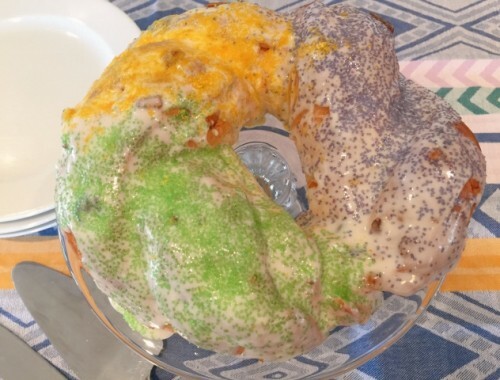 King’s Cake Recipe – Celebrate Mardi Gras! 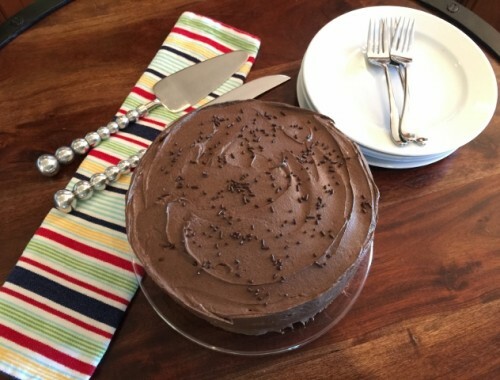 Classic Birthday Cake Recipe! Yellow Cake & Chocolate Frosting!